arg... i edited the poll and so I deleted the rating. damn. Anyone else see the Tupac hologram on stage with Snoop Dogg? It looks pretty real. It's great. i know! i think its finally the future! I give it two years tops before Queen are touring with a hologram of Freddie Mercury. Heck, I think I can make a list on how many dead musicians need to be made into holograms lol. Well guys, welcome to the 21rst century! Anyways, with that kind of technology, they will probably make holograms of bands/musicians who died a long, long time ago...so there will be plenty of reunion tours! Like The Beatles, The Doors, Nirvana, Elvis Presley, Sublime, Bob Marley, Jimi Hendrix....yeah, I think that's enough for now lol. I think it's fair to say Kurt Cobain would have absolutely hated the idea of "coming back" as a hologram, so I doubt we'll ever see that one. Sure, Courtney Love might go for it. Dave Grohl and Krist Novoselic almost certainly wouldn't though, and I don't see the appeal of a hologram of Kurt solo. Hip Hop lends itself to this sort of thing much easier, too. Nirvana were often ragged as hell live, and that was part of the appeal. You can't program in the kind of fuckups Kurt regularly made, and he wasn't half the showman that Tupac is in the first place. I can see a lot of people wanting to jump on the hologram bandwagon, but Nirvana is one that I really don't see happening. and If you like Green Day, what do you think about the coming release of 3 albums in a row? 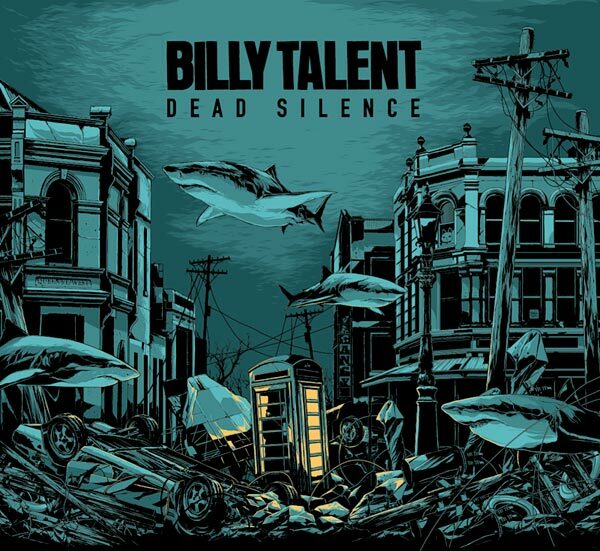 Never liked Billy Talent in the first place. Green Day should have split up ten years ago so we could remember them as the fantastic punk band they were instead of the dumb sloganeering corporate cookie-cutter they've turned into. particularly, you're right. The best Green day albums are 1,039 smoothed out sloppy hours & Warning. the newer ones are good too. But they`re different. Yea, it luckily does not have to happen.